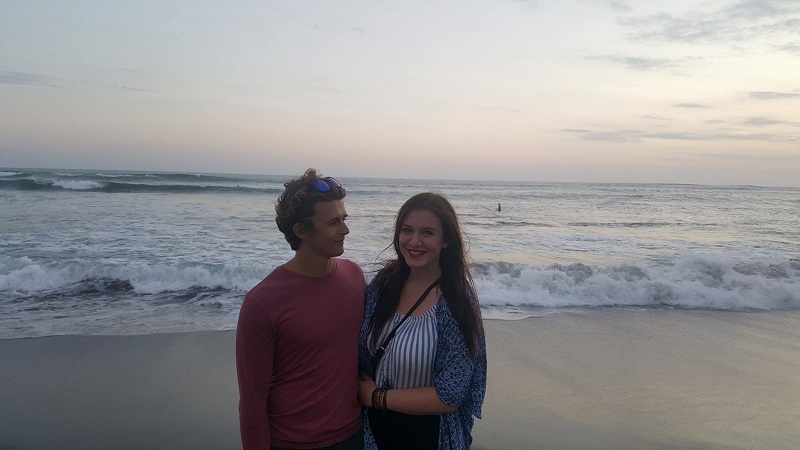 In case you hadn’t already realised, we absolutely loved Bali! There’s plenty to see and do, and incredible beaches in Bali to suit everyone’s tastes. It’s the perfect mixture of friendly people, fantastic weather, cheap things to do, spots to surf, and of course, endless stunning beaches. When we first decided to visit Bali with our friends for 3 weeks, we just thought that people went there to surf, but we soon found out that the island is perfect for couples and families as well. So, if you’re planning a trip soon and want to know where to stay in Bali and which spots to visit, here’s a list of the 9 best beaches in Bali. 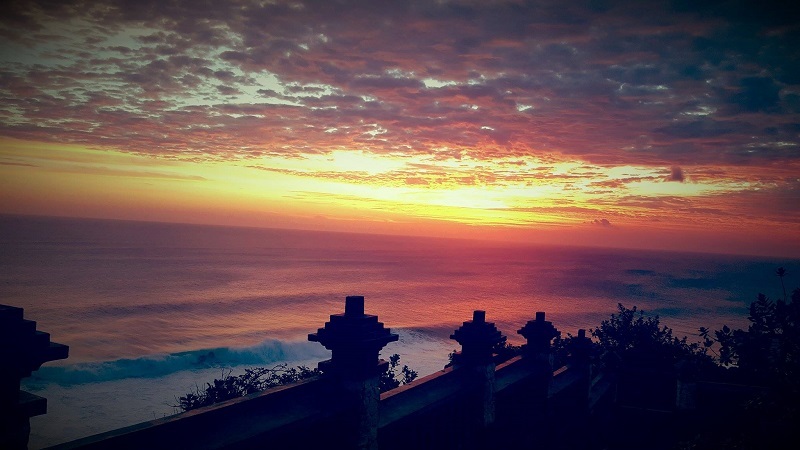 Uluwatu is the southernmost beach available to surf in Bali and is possibly the most dangerous, yet rewarding, spot to head to. If you’re still a beginner then it’s a safe bet to steer clear of Uluwatu for the time being, but if you’re more experienced then there’s no better place to catch a wave. Getting in the water at around dawn is a good bet and you get to catch the sunrise at the same time. You’ll also find that the water is already pretty busy by this time. Again, Padang Padang is a popular spot for more experienced surfers and rightly so due to its consistent barrels and unique entrance, by which you need to paddle out through a hollowed rock. This break is famous for a number of major sporting events such as Rip Curl Padang Padang, so it could be worth visiting just to watch any events that may be on. Bingin is located just North of Padang Padang and tends to attract more of a mixed crowd of surfers. When we visited, the waves were pretty heavy and definitely more for experienced surfers, but it is still one of the best beaches in Bali as the water was full of kids and adults alike. 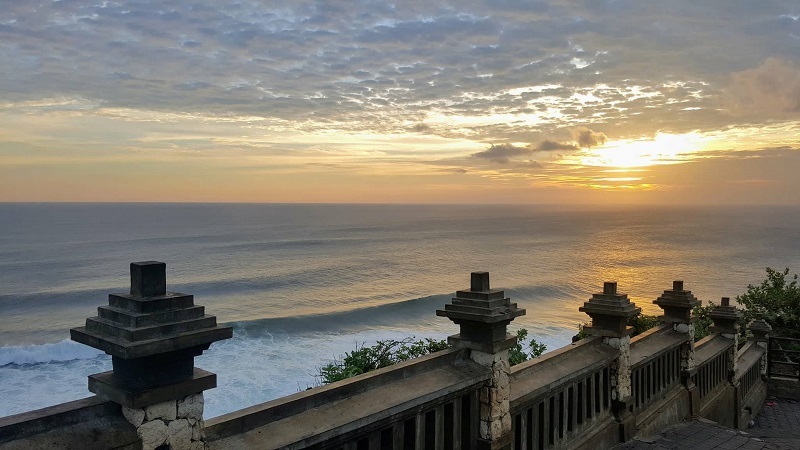 Apparently, Bingin can be a fantastic spot that is similar to Uluwatu but the barrels are a little shorter than what you’ll find slightly further South. Being a beginner surfer, Balangan quickly became my favourite surf spot due to the great variety of waves it offers. On the right-hand side, you’ll find plenty of surfing lessons underway with people trying to catch the smaller breaks coming from the left. On the left-hand side of the beach, you’ll find much bigger breaks that are perfect for practicing your skills before attempting the larger barrels further south. If you are just starting out, be sure to only attempt the waves slightly further out from shore, as it’s very shallow to start off with and you’ll be wiping out over coral. Canguu is a unique sort of beach in that getting to it requires you to drive around an inland river and enter through the town itself. Canguu is a massively popular spot to stay and attracts a lot of young people and families looking to relax or party. 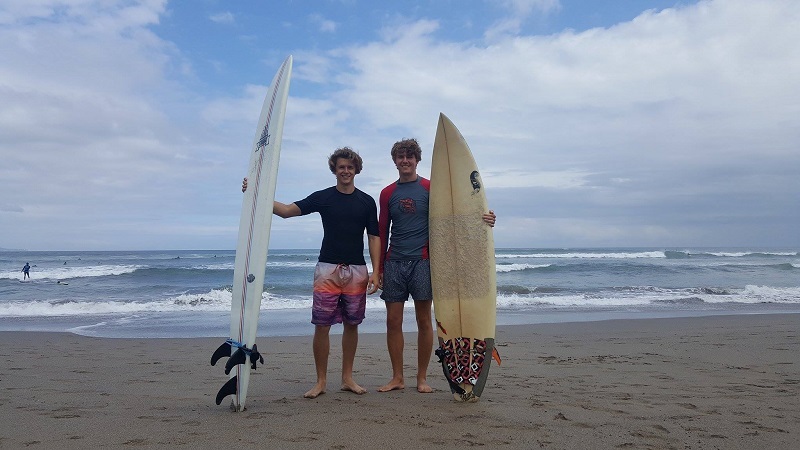 As such, Canguu beach is always busy and attracts a wide range of people from complete beginners, to those with more experience looking to play around on their longboards. I had mixed feelings about Canguu as the waves always seemed messy and it’s a lot more tiring trying to get out the back than elsewhere; though at sunset it’s as good a spot as any to catch a final few waves whilst the sun goes down behind you. 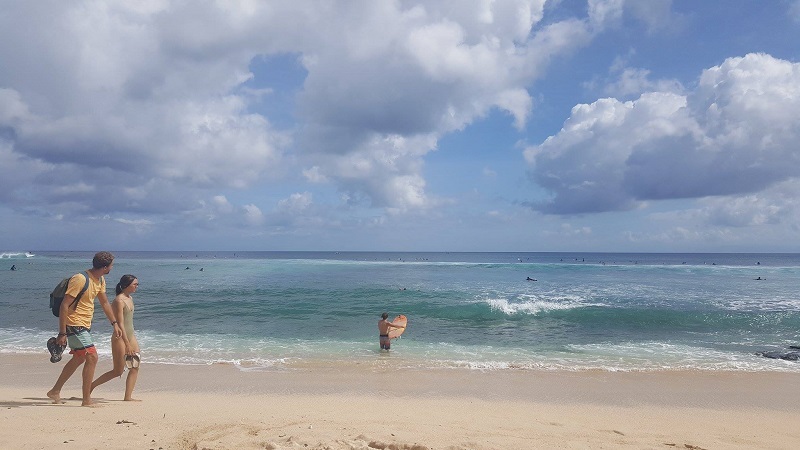 If you want to rent a board in Bali, then all beaches offer them incredibly cheaply; there's usually plenty of variety to choose form and start at about £3 for 2 hours. Kuta beach is a long stretch of coastline that is busy day-in and day-out, with a mixture of beginner surfers and families staying nearby. There are no rocks, which makes this one of the best beaches in Bali if you’re looking to play in the waves, or take on surf lessons and not be worried about coral below. 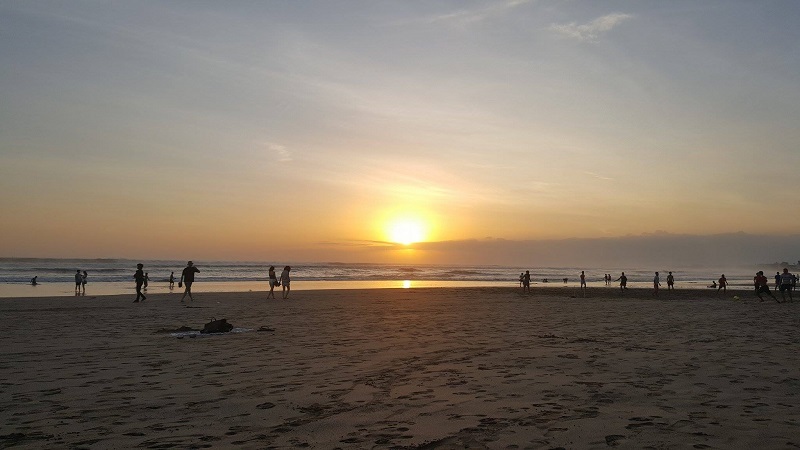 It’s also popular because Kuta itself is a really lively town with loads of places to eat and the beach has a consistent stream of vendors selling everything from massages to cheap beer. Just what you need to relax in Bali. We visited Sanur for a day trip and almost felt out of place as the front is lined with higher budget hotels, villas and private beaches. There’s no surf to be had here so it attracts families looking to escape or a couple of weeks of peace and relaxation. If travelling isn’t your thing and you want to just chill in one spot whilst in Bali, then Sanur seems like a good place to do that as the esplanade has everything you could possibly need. 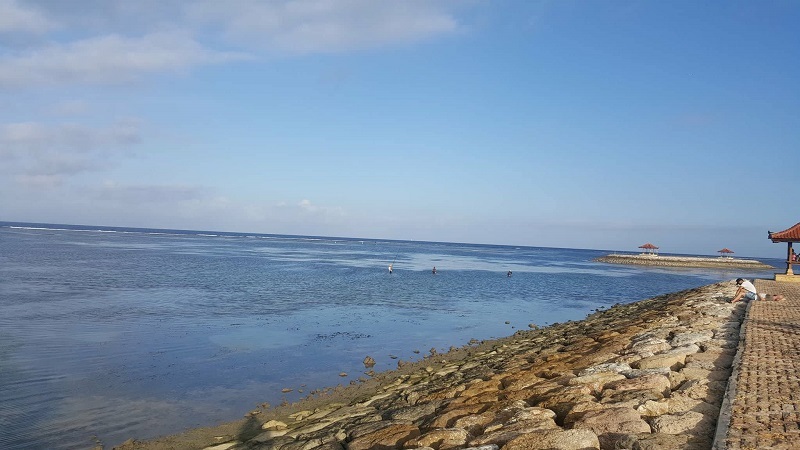 Once the tides go out you can relax in one of the outposts in the water and see all the local men fishing in the shallows. We visited Seminyak a few times in the evening, either to watch the sunset or to grab a couple of drinks and walk along the beach. It proved to be incredibly popular with families and the views really are breathtaking. If you're looking for a romantic sunset walk and a good quality meal with a view, you can't really go wrong with Seminyak. 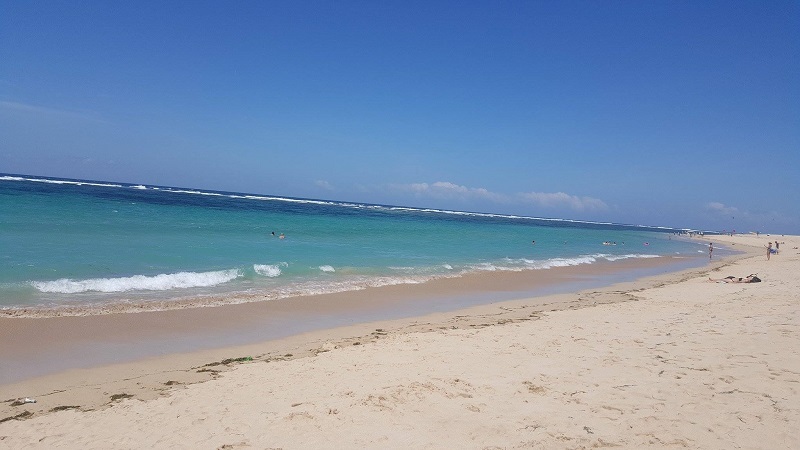 It’s important to note that you can relax on basically all of Bali’s beaches as they are all lined with cheap sunbeds and restaurants or vendors. They all have white sand and gorgeous blue water; the beaches further south seem to be more iconic and also a little quieter. Other than Nusa Dua, it’s hard for me to offer much insight into where’s best for watersports in Bali, seeing as this is the only spot we visited. We intended to jet ski here but were annoyed to find out you can’t do it unless you have a guide on the back. After doing a quick search of Bali, it seems like this place is pretty popular with visitors and could be a good place to start. Of course, if you’re planning on visiting Bali, then I recommend you try and visit all of these beaches at some point as they are each unique in their own way. Though some may be best for pro surfers, they still offer perfect opportunities to chill in the sun and sip a cocktail whilst getting a £3 massage. Getting around Bali is incredibly cheap and easy; I would personally recommend hiring a moped, just be careful! In fact, be sure to read this article first: Renting A Scooter In Southeast Asia: All Your Questions Answered! Also, be sure to check out this awesome 10 day itinerary to help you plan and make the most of your stay in Bali. This list of best beaches in Bali is based on our own experience from 3 weeks there where we visited almost all of the places recommended to us by others. If you think I’ve missed anywhere off this list then I’d love to hear about it, so just comment below.